It’s crazy to think that in just one week, we will be losing our collective mind at Escape: Psycho Circus, our once-a-year festival where our wildest nightmares are free to run rampant. 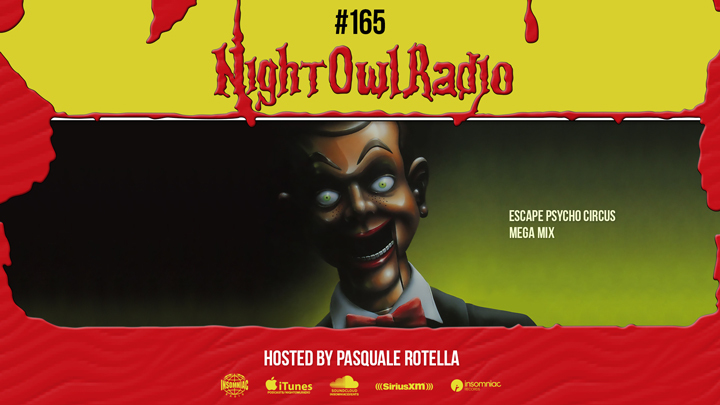 Before our Headliner haunt kicks off, though, Pasquale is ready to turn up the frightening to an 11 to get your blood pumping through a special two-hour Escape mega-mix. The entire show is crawling with choice cuts culled solely from artists slated to perform across both days. Hit play on the show above, and prepare to test your threshold next weekend as we attempt to overcome the carnage of a killer lineup, hair-raising performers, and the madhouse maze known as the Asylum. Escape: Psycho Circus takes place October 26 & 27, 2018, at NOS Events Center in San Bernardino. Tickets are on sale now.